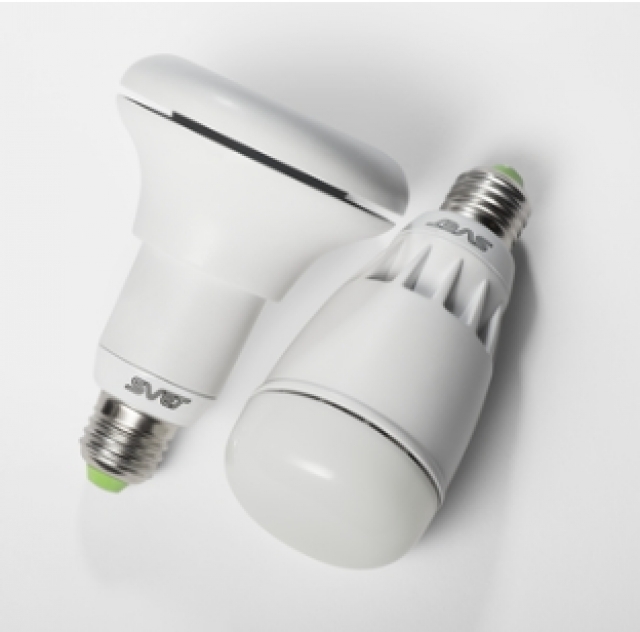 Although there are some well documented cases where adjusting the lighting can impact worker health, we wanted to see what SVET used for their research. Well, SVET sent us a ton of documentation to look over. It was enough that we needed to spend a few weeks looking it all over. From what we can see there are certainly some compelling information to support their claims. We asked for some samples to test with, but they are not ready for that just yet. Instead we will take a talk about some of the data and what is means in the real world. The biggest claim from SVET is that it is capable of mimicking normal daylight patterns. What they mean is that the bulbs will follow the same natural color and tone (normally called temperature) of the light produced by the sun. 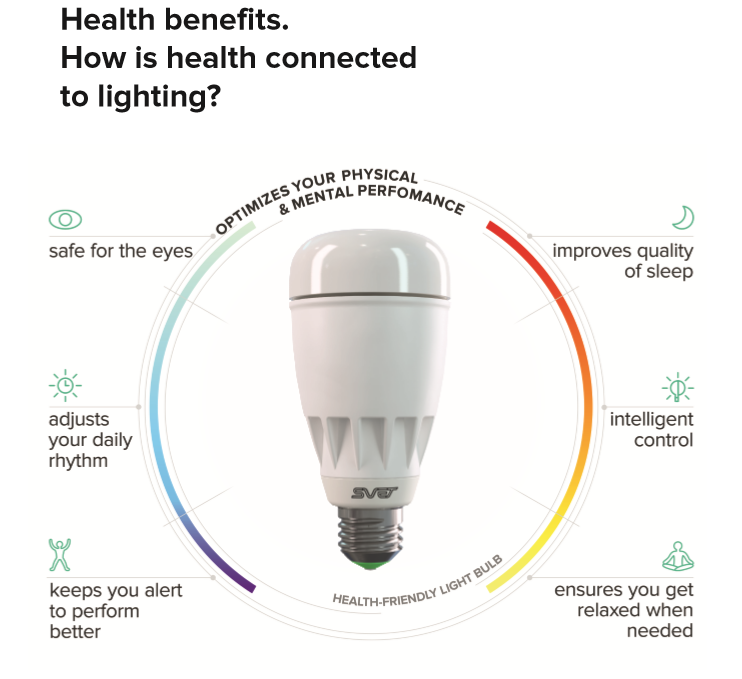 This pattern has been researched more times than I was able to read and shows fairly conclusively that lighting that follows the normal pattern can have a significant impact on both physical and mental health. In some underground facilities they replaced normal incandescent and fluorescent lighting with systems that match the normal daytime patterns. Most of these systems are very expensive though so we have not seen them hit regular business and the home yet. SVET is working to change that. In doing their research SVET did not just focus on a single aspect like what we saw with the mental health studies for underground work places. Instead they also looked into how our eyes adjust and use light. This part of their research really intrigued me as I remember monitor companies building in temperature setting on CRT and early LCD monitors. You could actually adjust the temperature of the monitor to suit you. For the most part this has been replaced with a handful of presets like Video, Movies, Graphics, etc. The only place you find real controls for this are in very expensive products that are intended for studio work. SVET looked at how the temperature of ambient lighting can impact your vision. They opted for full spectrum (day light equivalent) lights that help improve contrast, color perception and reduce eye strain overall. With full spectrum lighting there is no color bias for your eye and brain to deal with when identifying colors. You also get ultraviolet light from a full spectrum source which can make things seem brighter with less light intensity. These factors help reduce the strain on our eyes during the course of a normal day. But, wait there’s more! There actually is. As we mentioned before there have been multiple studies that show proper lighting can influence mental and physical health. There are also some that show proper lighting temp can influence productivity. Our bodies and minds are wired to perform more activity during certain times of the day. Having static lighting can throw this off and produce a kind of listlessness that impacts the amount of work we feel like doing. If you adjust the light (full spectrum) to mimic what is happening outside most people will instinctively get more done as the light sparks something in our brains signaling us it is time to work. This same effect can also help with sleep. As the light temperature changes our brain registers that it is time to start relaxing and go to sleep. Having experienced the never setting sun in Alaska I can tell you that it was very difficult to get good sleep simply because the light never seemed to change beyond what I would see at dawn (the normal signal to get up). So we can now see that SVET’s claims are backed up by research and proven studies. What we do not know is if SVET’s particular implementation works. We are confident that they are on to something, but as we do not have anything to test yet we can only comment on the science and research behind the product. It will be exciting to see this hit the market and what impact it will have on all of us.